A fast spreading, upright perennial perfect for providing a casual, quick-filling patch of color. 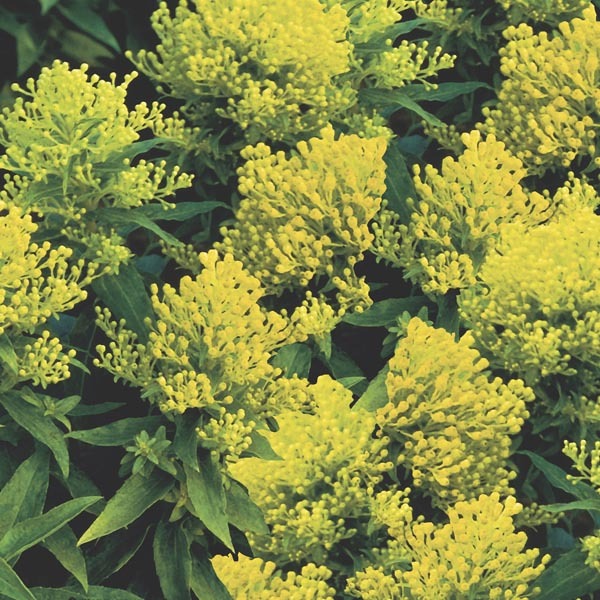 Clusters of many tiny flowers form golden cones of bloom above fine-leaved stems. Combine with tall grasses and coneflowers for a prairie-like effect and a butterfly haven! Perfectly suited to informal, naturalized settings. Plant in drifts or bands for best effect. Excellent for use in difficult spots where nothing else can survive. Provides long lasting cut flowers. Actually performs better in poor, infertile soil. Prefers light, sandy soil. Allow soil to dry between thorough waterings. Deadhead to prevent self-seeding.